I am a lover of all things handmade, and not just because I’m a maker myself. I have always had an appreciate for things that were handmade instead of mass-produced. Today I want to share just a few of the many reasons why we should all buy handmade. Ever gone somewhere and had someone say, “Did you buy that shirt at [insert large chain store here]? I have that same exact one!” Sure, I don’t like to stick out too too much in a crowd, but I also like to be a little unique. When you buy something handcrafted, chances are not everyone and their mother owns it as well (but if that is the case, then please do share your marketing tips with me!). From Farmers’ Markets to independent restaurants, I love supporting small, local businesses wherever I go. Similarly, it makes me really happy to be able to support someone in her artistic endeavors, whether it be someone in my hometown or a local when I am traveling. I know this is not always the case, but at least speaking for myself and my own handmade jewelry, when I am making something for someone else I tend to put a lot of effort into making it and double-checking that the product looks and is high quality. I usually I put more effort into what I make for someone else than what I do for myself. I do not feel comfortable selling something that I feel is poorly made. If someone is going out of his way to invest his time and money selling at craft fairs or local shops, or posting photos of products on Etsy, chances are that person is going to make sure that he also makes high-quality items. Handmade items (understandably) typically cost more money than a similar mass-produced product. Therefore I am going to be more choosy about where I spend my money, because for me it is more of an investment. I also like knowing where my money is going, and buying handmade I often know that the money or a portion of it is going directly to the person who produced it (and hopefully she set a fair wage for herself!). I love the whole process of making chainmaille jewelry, from figuring out the design to seeing the finished product, and it makes me so happy when someone else truly enjoys wearing something I made. Similarly, it feels great for me to wear or use something that someone else made, and I am often amazed at people’s talents. Let’s spread those warm and fuzzy handmade feelings by supporting handmade artists’ work! We all have our reasons for buying handmade. What are yours? 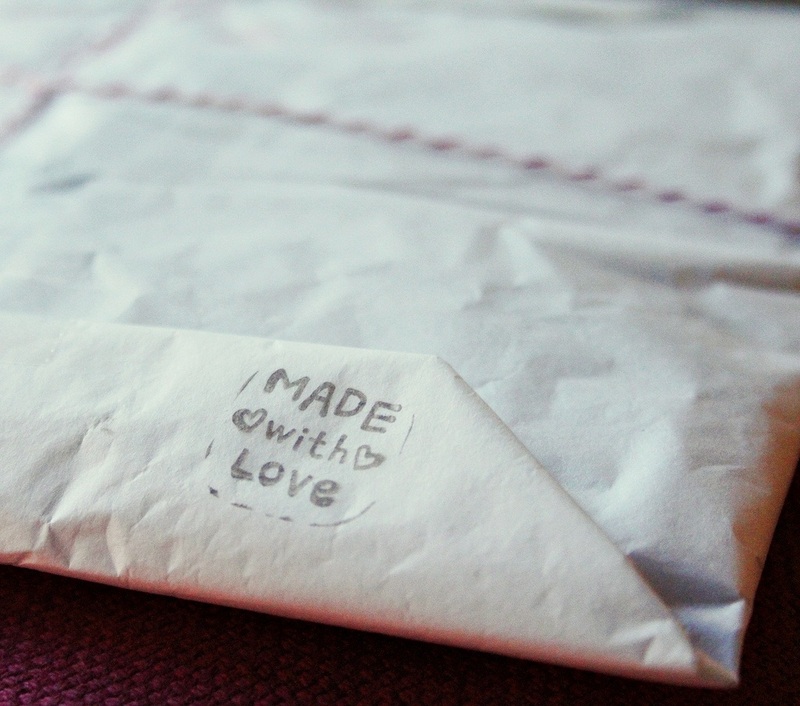 Hi, I love your reasons for buying handmade; I completely agree! I found your post on SITS. I have to say that handmade items are the absolute best thing to buy. They often have a lot more personality and care put into them than something you would find at a chain store. Whenever given the chance, I always buy handmade over something that was made in mass production basically for all the reasons you listed above. Great list!